The Watchman is an imposing sandstone spire that stands at 6,555 feet, with a trail leading to an overlook at the base that stands over the entire lower Zion Canyon. 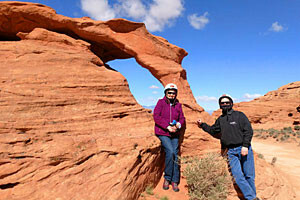 The Watchman Trail is just three miles round trip, making a great introductory hike to the area. Hike up to a small loop to appreciate views of The Sentinel, the Towers of the Virgin and other prominent features. The sandstone cliffs of the spire are best viewed at sunrise or sunset. 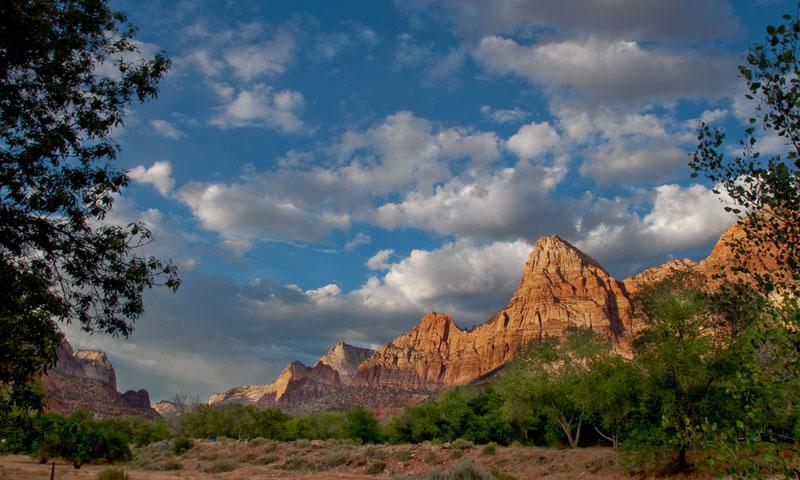 The Watchman Spire towers over the south entrance to Zion National Park, as if guarding the canyon farther north. Between the Sentinel and the Watchmen, Zion should be well protected. There is an easy trail that leads to an outlook called Watchman Outlook, where a panorama of the southern valley will reward visitors who take advantage of the well-maintained trail. The views from the lookout are far-reaching, and a great introduction to the park. Take a look at the Tower of the Virgin, the Three Patriarchs, the Sentinel and the town of Springdale stretching out into the desert floor. The trailhead for the Watchman Trail is at the Zion Canyon Visitor Center, just north of the Watchman Campground. There is great information about the trail inside the Visitor Center. At only three miles round trip and gaining less than 400 feet in elevation, this trail is often overlooked in favor of the more famous trails farther up the canyon. For those staying at the Watchman Campground or looking for something special, this is a great sunrise or sunset hike. The sandstone monolith glows red in the morning sunlight, accentuated by golden rays that dance across its face. At top of the trail is a small, one-third mile trail that loops around the small plateau. It gives visitors a chance to appreciate the views from a number of different perspectives. In Zion, Watchman Spire rises 2,200 feet over the canyon floor, and is part of the larger Bridge Mountain formation. The trail was carved by the Civilian Conservation Corp (CCC) in 1934, during the depths of the Great Depression.